I spent my lunch hour today at the Annenberg Space for Photography at their WAR/PHOTOGRAPHY: Images of Armed Conflict and Its Aftermath exhibit. I work 50 steps away and I couldn’t be happier. One hour wasn't enough time and it's going to take several visits to absorb it all. It's first rate. They even have prints by W. Eugene Smith and Robert Capa, among other legendary photographers. I wasn't prepared at how visceral the experience would be and I actually reached for a tissue. (I'm not a crybaby. I didn't even cry when E.T. was dying.) I urge to check it out. If you don’t live in Los Angeles, wait. It might come to you eventually. And if you do go, focus on the subjects' eyes. This exhibit would make a pacifist out of Kim Jong Un. I think this is probably the last festival screening and then I will put online. But if you happen to be in Vail... Unfortunately, I can't attend. I normally don't submit to festivals I can't afford to attend, but the festival programmers contacted me because they saw my film when they were programming the Baja Film Festival and asked me if they could program it at Vail. I'm bummed because it looks like a fun festival, but it also looks very ritzy and the filmmaker rate at the Four Seasons is $400. Gulp. I really wish I could go. 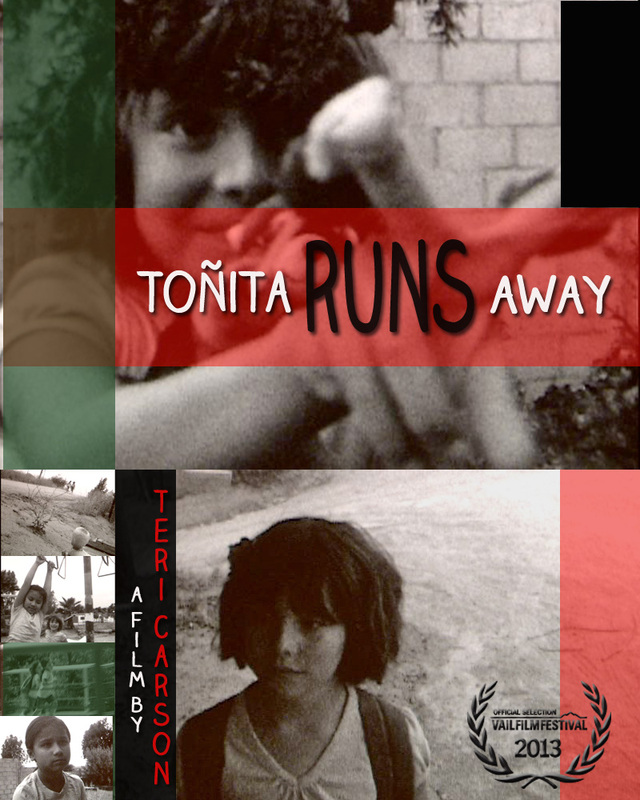 After being scolded one too many times, mischievous Toñita runs away from home. While on the road, she meets another little girl and together they embark on a frolic through the Mexican countryside. On their way to the rodeo, their fun is interrupted by a gang of bullies and what looks like a covered corpse in the middle of the road. Logline: Whitey is a hip rapper who has to go to Compton with his best friend Sky to steal marijuana from a crack house, disguised as an orphanage, to make his crazy girlfriend happy. Logline: After Zvi , an 80 year-old retired general, is being told he doesn't have much time left, he returns home to plan his next steps. An interaction with his son Amir make him re-think his plans. Logline: In a world controlled and timed by light, an ordinary man has a plan that could change the natural order of things.